2017 SDAA Hall of Fame inductee Tom Souvignier and family. 2017 SDAA Hall of Fame inductee Judson Seaman and family. 2016 SDAA Hall of Fame inductee Terry Haiar and family. 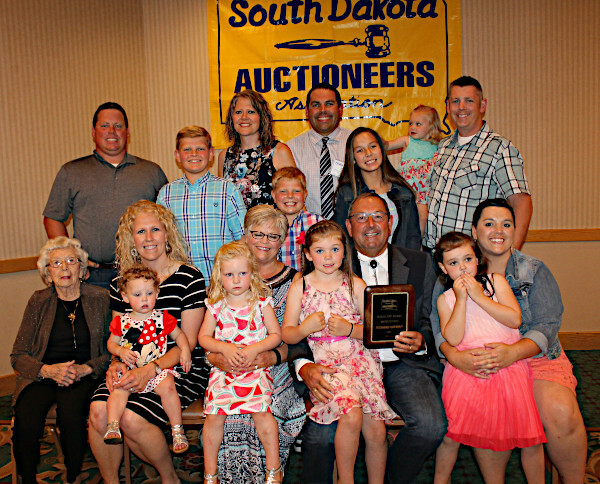 2016 SDAA Hall of Fame inductee Marlin Fjelland and family. 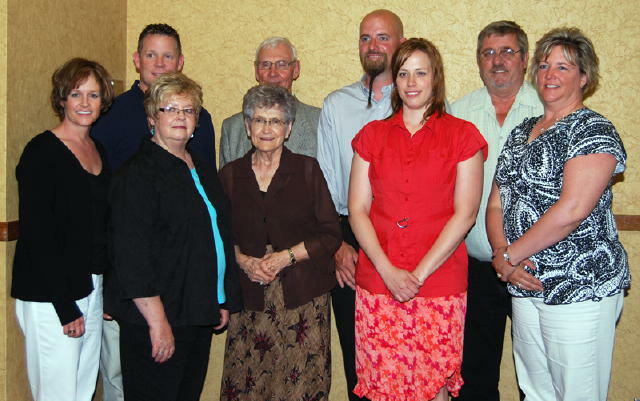 2015 Hall of Fame inductee Dan Clark (Center front) & Wife Cindy with friends and family. 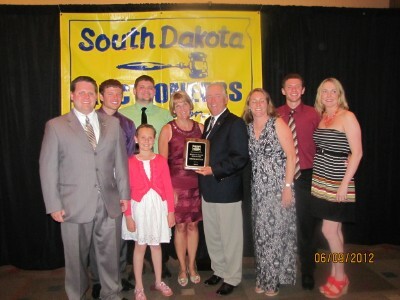 2015 SDAA Hall of Fame Inductee Wayne Bessman (Center) & Wife Dawn and Family. Richard Penrod of Gettysburg, SD his Hall of Fame Plaque. 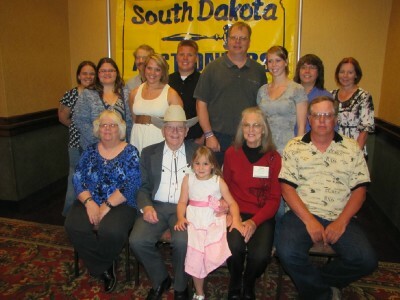 New inductee to the SDAA Hall of Fame Richard Penrod Gettysburg SD (Center) and wife Joy (Right) and Family. 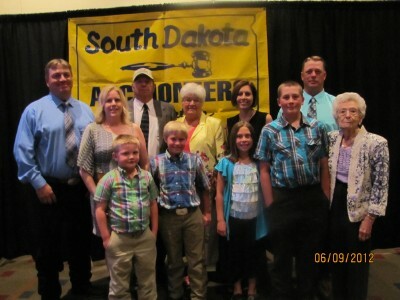 Shown second from left 2013 SDAA Hall of Famer Rich Krogstad Spearfish and His wife Char (second from the right, front) with their family. 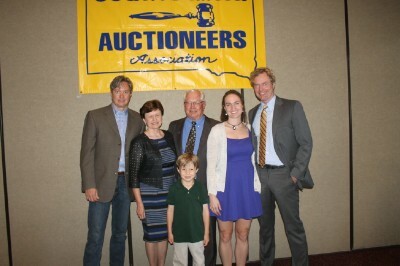 Gary Wieman’s Induction to the Hall of Fame pictured with his family. 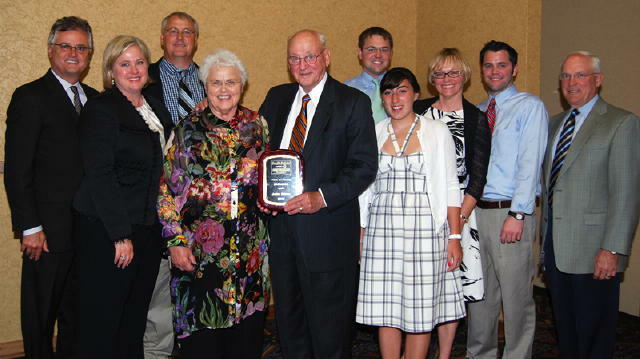 Chuck Sutton’ Induction to the Hall of Fame pictured with his family. 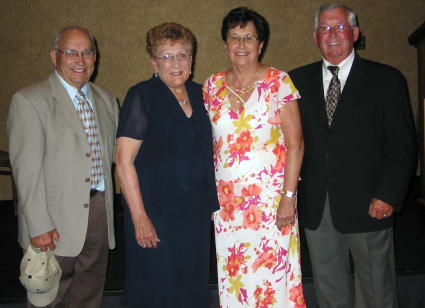 Sharing Marvin Girard’s Induction into the SDAA Hall of Fame is his family. 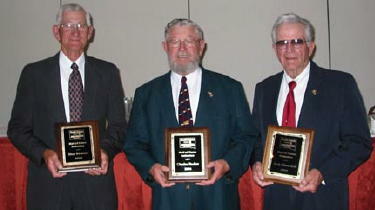 Mel Larson Inductee to the SDAA Hall of Fame . Mel is pictured with his family. 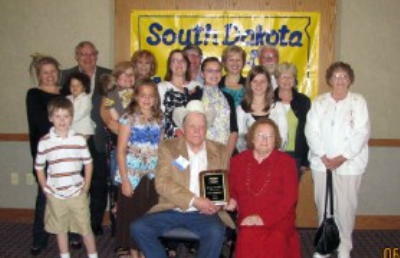 Newly elected to The South Dakota Hall of Fame Bob Penfield and His Family. Bob is from Bowman ND. 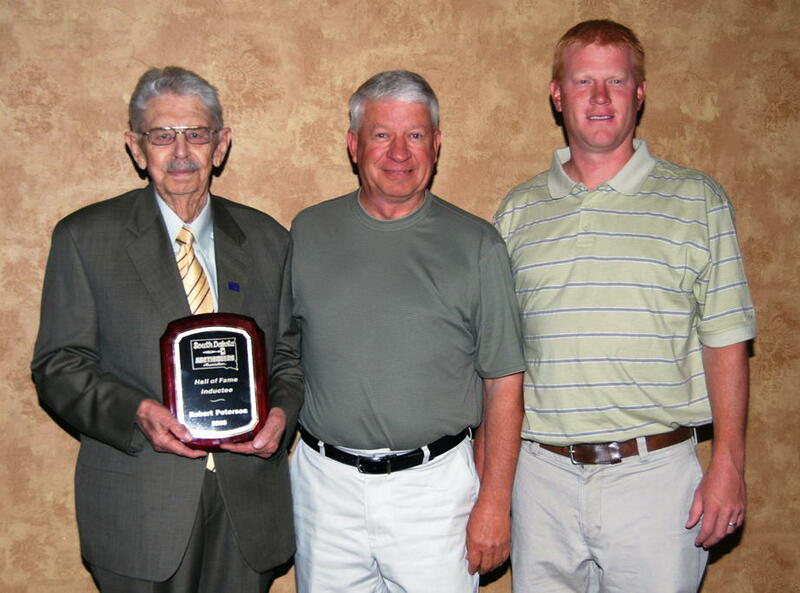 Accepting the Hall of Fame award in Memory of Sam Eslinger is his brother Jack (Sharon) Eslinger New Castle WY. 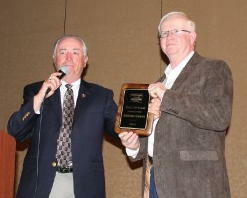 Pictured is Jerry Casteel & Mel Larson. 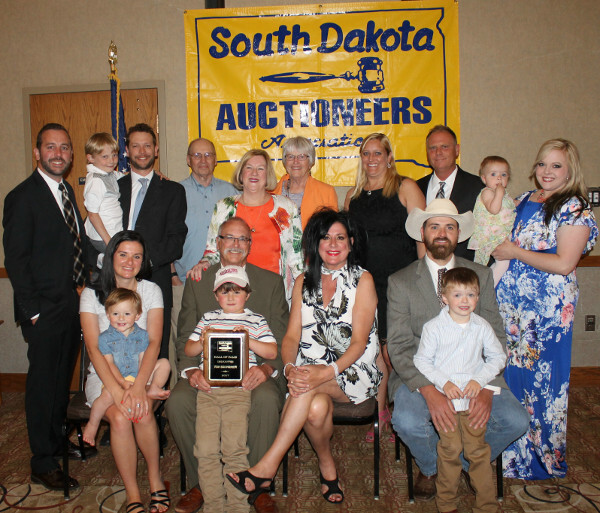 The family of John Owen, Watertown, was on hand to celebrate John’s induction into the South Dakota Auctioneers Hall of Fame. 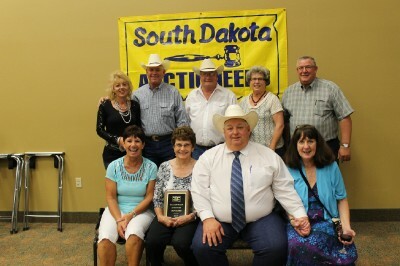 Holding the plaque is John with his wife, Beverly at left. 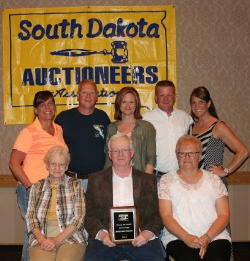 The family of the late Jack Sluiter gathered to honor Jack’s induction into the South Dakota Auctioneers Hall of Fame. 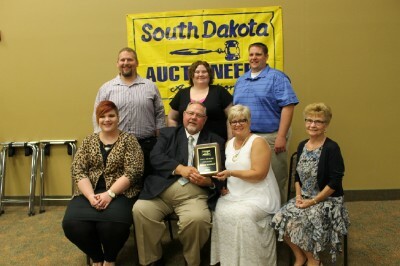 The family of the late Gilbert Wagner, Reliance, accepted the plaque to honor Gilbert’s induction into the South Dakota Auctioneers Hall of Fame. 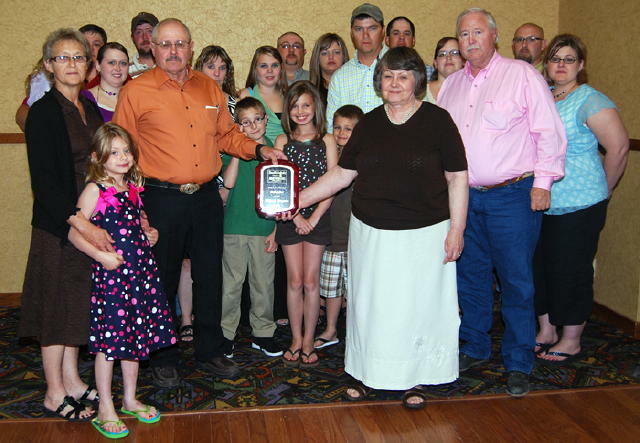 Gilbert’s children, Mark and Kathleen are shown holding the plaque. 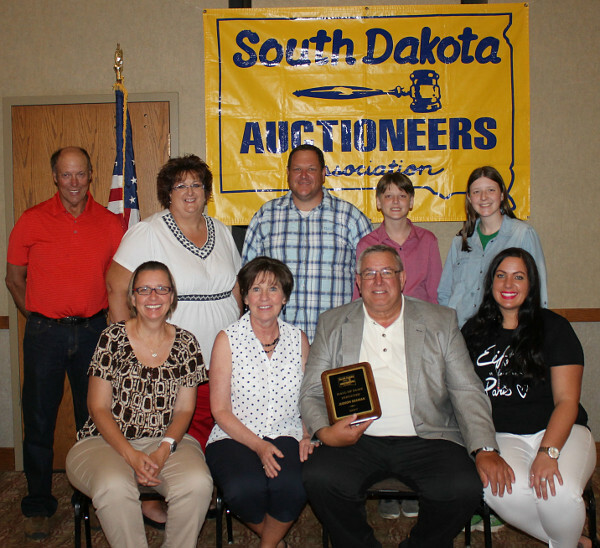 From left to right: Robert Peterson, Brookings, was inducted into the South Dakota Auctioneers Association Hall of Fame this past June. 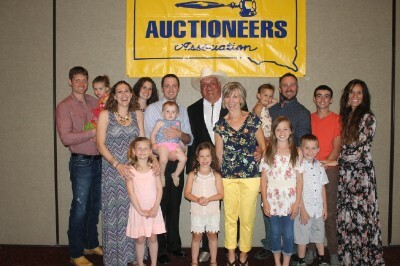 Three generations of Petersons, all auctioneers, were on hand for the ceremony and included son Jim Peterson, center, and grandson, Scott Peterson, right, both from Brookings. 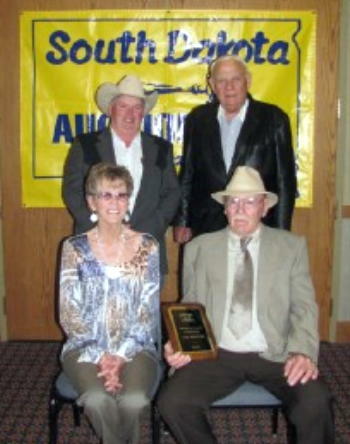 From left to right: John Fox and his wife, Jean and Clara Mae Fox with husband, Darwin, enjoy the evening’s activities that saw John and Darwin inducted into the South Dakota Auctioneers Association Hall of Fame. 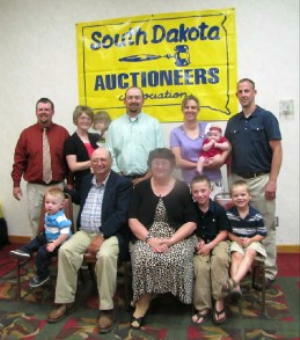 The family of the late Warren Bessman, Madison, accepts the 2006 Hall of Fame plaque for Warren’s induction in the South Dakota Auctioneers Association Hall of Fame. A portrait of Warren sits in the middle of his family members. 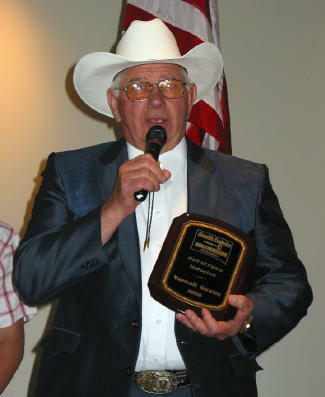 his induction into the 2006 South Dakota Auctioneers Association Hall of Fame. As one of the 2006 Hall of Fame inductees, Vernell Qualm, Platte, says a few words of thanks to his family, friends and fellow auctioneers. 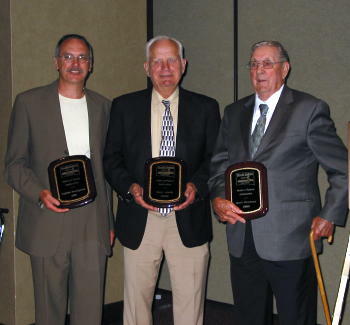 Recipients of the 2005 South Dakota Auctioneers Association Hall of Fame awards are, left to right: Tom Souvignier, accepting on behalf of his late father, Gaylon Souvignier, Canton; Ken Jark, Aberdeen and Earl Wieman, Marion. 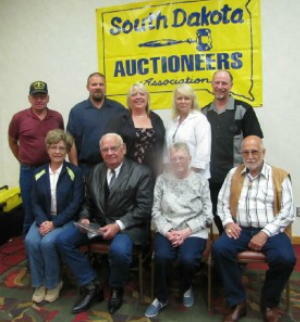 Recipients of the 2004 South Dakota Auctioneers Association Hall of Fame awards are, left to right: Don Sweeter, Worthing, SD; Charles Fischer, Long Lake, SD; and accepting on behalf of the late Jack Churchill, Hermosa, SD, is Fred McFarland.